Federal Facilities & the Architectural Barriers Act Accessibility Standard (ABA) - "A Refresher"
Home > Schedule > federal facilities & the architectural barriers act accessibility standard (aba) - "a refresher"
This is an important session if you are responsible for Federal facilities or do design and construction work under the ABA. 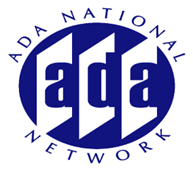 We will provide an overview of the ABA Accessibility Standard (ABAAS). A compliance specialist with the Board will discuss the ABA complaint investigation process and the steps involved in resolving complaints. You will also learn about the most common barriers to accessibility in complaints received under the ABA and the status of compliance over the past five years.